Sidmouth is a Regency town on the Jurassic Coast World Heritage Site in East Devon. The Lions Club of Sidmouth, a registered charity, primarily serves the local communities of Sidmouth, Sidford, Sidbury, Newton Poppleford, Tipton St John and Branscombe. Within these areas, the Lions raise money for charitable causes through a variety of fundraising events. The Lions motto is "We Serve" and the funds we raise are used to undertake community services, such as theatre trips and Christmas parties for the elderly, to support various youth related activities and to help the disabled, infirm and the needy. 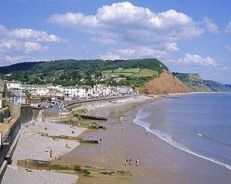 Sidmouth Lions Club meetings usually take place twice per month at the Anchor Inn, Old Fore Street, Sidmouth, Devon EX10 8LP. The Lions Club of Sidmouth was established in 1976 and is part of Lions Clubs International , the worldwide voluntary service organisation founded in 1917. In the UK and Ireland, there are now some 900 Lions Clubs, comprising about 20,000 Lions in total. First and foremost, a Lions Club serves its local community - but all of the Lions Clubs together can provide a powerful force in relation to helping humanitarian causes and international understanding. All of the funds raised by Sidmouth Lions for charitable purposes, go to good causes. We thank all of our supporters for their help and generosity, without which we could not undertake the work that we do.